Aptly nicknamed “the city in a forest,” Puerto Princesa city offers up a very unique natural wonder, it’s underground landscape. The 8.2-kilometer river, said to be the longest navigable underground river in the world, meanders underneath a mountain range, through the St. Paul Underground River Cave, and then goes out into the South China Sea. The journey through the cave system alone is 24 kilometers long. 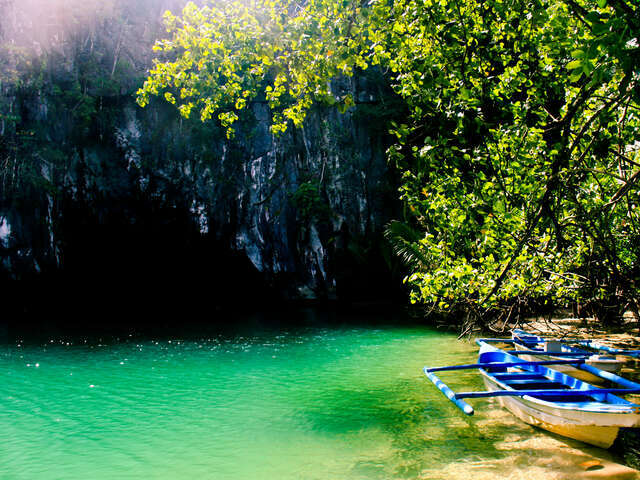 The park where the underground river exists is a national park and a model of biodiversity. More than 800 plant species, including almost 300 trees, 195 bird species, 30 mammals, 19 reptiles, and eight bat species call this area home.